Don Lee will develop a language for understanding cocktails and spirits. 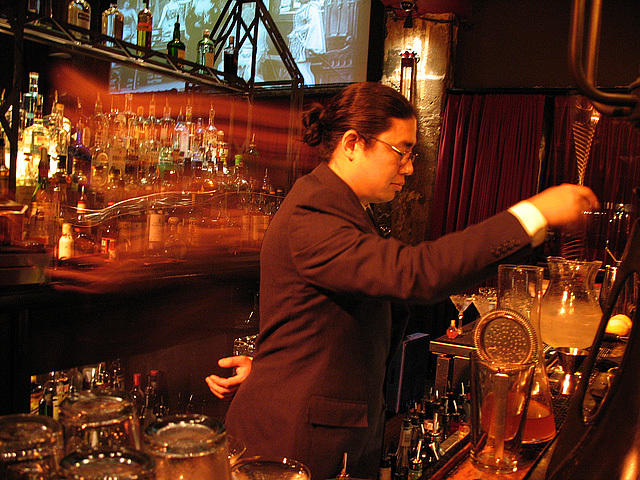 Eight former Tales of the Cocktail Apprentices from across the country have been selected as the recipients of the 2011 Cocktail Apprentice Scholarships. Recipients will receive funding to pursue a wide range of educational opportunities and special projects, including zero-impact bar design, a web-based timeline of cocktails, and the development of a universal language for describing cocktails and spirits. The $25,000 scholarship program was first announced at last year’s Tales of the Cocktail, the world-famous cocktail and culinary festival that takes place every July in New Orleans. The Cocktail Apprentice Scholarship Program is the latest piece of the Cocktail Apprentice Program (CAP), founded in 2008 through a partnership between Tales of the Cocktail, Cointreau and the New Orleans Culinary and Cultural Preservation Society (NOCCPS). The CAP is designed to give up-and-coming cocktail professionals the opportunity to learn from the world’s most influential mixologists while at Tales. 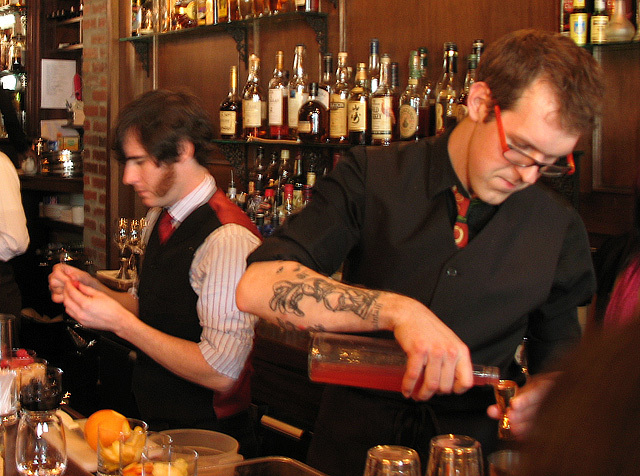 The exhaustive selection process began with twenty-nine former Cocktail Apprentices, who submitted applications for topics and programs across several categories. Applications required a detailed explanation of course of study and presentation of findings, as well as a pre-established mentor in the field of study. A scholarship selection committee of key apprentice leaders, NOCCPS members and the Tales of the Cocktail team reviewed all the applications in a multi-step process. Key to a project’s approval was the amount of potential impact it could have on the industry. “It was inspiring to review the scholarship applications,” said Charlotte Voisey, a member of the scholarship selection committee. “We are very grateful for this opportunity to further our mission, by providing unique, educational opportunities to such talented industry professionals,” said Paul G. Tuennerman. If all goes well, Brad Farran (L) and Nick Jarrett will be testing their bar design at Burning Man in 2012. 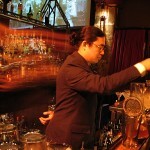 Following are the 2011 Cocktail Apprentice Scholarship recipients and their project summaries. BAR is an independent organization comprised of six of the world’s leading spirits and cocktail authorities dedicated to educating, guiding and propagating the healthy, enlightened and responsible use of beverage alcohol products. Students study in-depth bartending techniques, base spirit production, tasting and usage as well as the history of the craft in an intensive five-day spirituous equivalent to a Master Sommelier course. “A Journey into the World of Rhum Agricole” is an educational excursion to Martinique-French West Indies to visit a variety of rum distilleries. The overall objective is to gain a better understanding of how Rhum Agricole is produced from sugar cane harvest to bottling. Navarro will have the rare opportunity to travel to an A.O.C. designated region and experience how terroir, cane selection, harvest methods, fermentation, distillation and maturation play a role in producing specific Rhum Agricoles. Upon returning to the states, Navarro will present his research to several bartending education organizations. Tommy will be partaking in an immersion internship primarily with Master Distiller Jim McEwan at Bruichladdich Distillery in Islay, Scotland as well as several other regional distilleries with the goals of learning the complete distillation process as well as creating a bond between the U.S. and Islay to help preserve the traditions and culture of the island. Thomas will become an Islay Ambassador upon return, working not only to educate the U.S. on Islay, but continuing to work with the distillers there to help them understand and adapt to the needs and desires of bartenders working with their product. Working with a green industrial designer, Nicolas and Brad will develop the logistical infrastructure to assemble a functioning bar system with zero impact, one that recycles or reuses all byproducts of daily operation from materials to discarded garnish to grey water. This design will be put to the test in one of the most grueling event spaces, Burning Man 2012. From there the techniques used will be refined and made available for others to incorporate into their pop up bar setups at events throughout the world as well as into permanent bars. Rhiannon will create a web-based, visually-organized encyclopedic timeline of cocktails. This historic reference guide will start with eight key New Orleans cocktails and expand from there, giving users a single readable line with more in depth information available at their choosing depending on their desired topic of study. This site will not be a narrative, rather a user driven research tool based solely on factual references which will be archived into the site, not only making original source material easily viewable to all researchers, but also preserving it in one easily searchable location. Working with one of the industry’s foremost sensory analysts, Don Lee will create a collaborative project to develop a universal scientific language to describe the flavor profiles of every major spirit category and basic cocktail family. The project will start by using a series of planned blind tastings with groups across the country to amass descriptive data. Once a comprehensive language of general taste perceptions is created, a more formal panel of trained tasting experts will be selected to analyze and describe specific bottlings and cocktails with this new language. The new language will not favor or endorse any one brand but help the industry as a whole to better describe and understand spirits and cocktails in a way understood by all. All non-discriminatory, non-competitive, non-brand specific information will be shared freely on a website for the benefit of the community. The shared histories of the apothecary, bartender and the medicinal properties of alcohol are familiar to most today, but much understanding is lacking where the specific plants are concerned. Sharon will embark with an Ayurvedic medicinal practitioner on a comprehensive study of herbs and plants most used in the cocktail world. Their research will ultimately result in a comprehensive reference work of herbal medicine as it relates to spirits and cocktail creation allowing for further creative collaboration between these two worlds. Drawing upon his degree in Neuroscience, Behavioral Biology and Philosophy from Emory University, Sudeep will examine how we can attempt to understand drunkenness not as a temporary form of lawlessness, but as a necessary biological and social function. Expanding on the works of Mikhail Bakhtin, Sudeep will attempt to answer the question of what social function do bars and the consumption of alcohol play throughout history and across societies. He will also examine how this function is a part of the natural human condition by examining the tension between the lawlessness drunkenness produces in the mind and societies attempt to simultaneously regulate individuals. Ultimately his goal is to synthesize the work into a book and his future legal work.